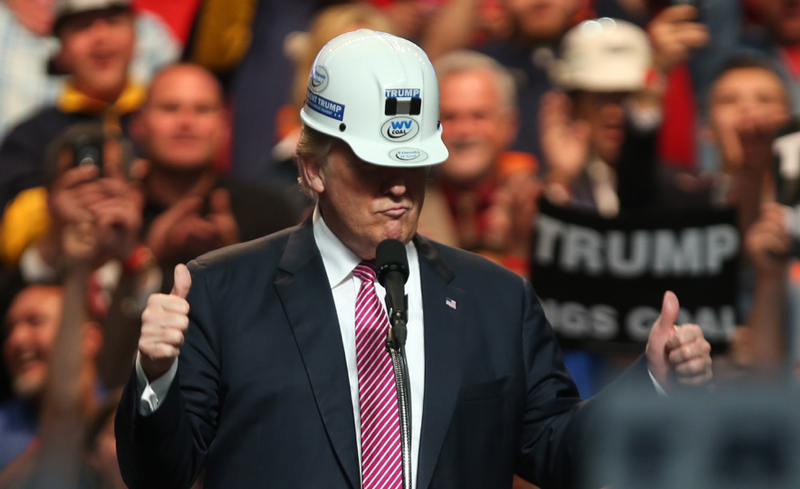 The U.S. election of Donald Trump lit a fire under metals markets in 2016 as investors took a liking to his pro-business agenda. Now, copper and other metals are tanking as Trump’s trade war against China threatens to derail economic growth. Copper sunk to an almost one-year low and has fallen 16 percent from a high in June. All the major metals were in the red on Wednesday as the U.S. unveiled tariffs on $200 billion worth of Chinese-made products. Mining stocks also took a hit, with Glencore Plc and Kaz Minerals Plc falling more than 4 percent. Even gold, considered a haven asset, fell as trade angst boosted the dollar, making commodities more expensive for holders of other currencies. Industrial metal markets are often viewed as an economic bellwether and the losses suggest that traders are starting to price in a slump in global growth. 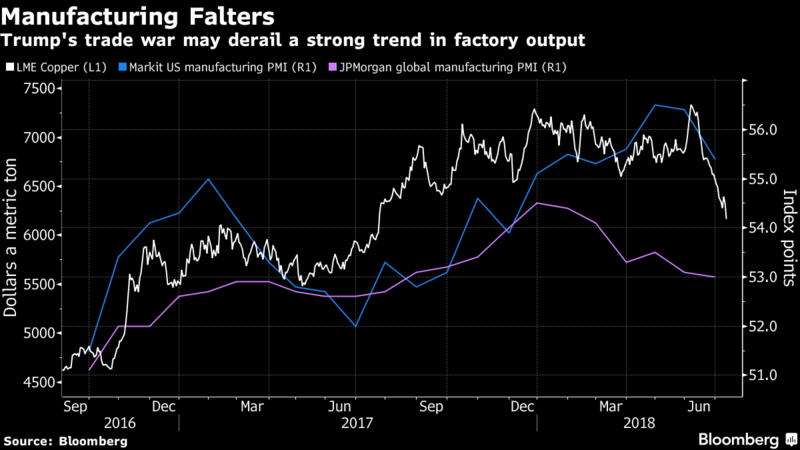 Manufacturing gauges are already showing signs of weakness after a run of strong performance, and the fear is that more tariffs will further dent economic activity. While the new list of targeted Chinese imports covers a wide range of products, demand for copper and other metals could be hit if the tariffs come into effect as proposed in September. More than 120 copper products are mentioned, and the metal plays a crucial role in other electrical products. Copper prices are still up 25 percent since the start of November 2016, the month Trump was elected.